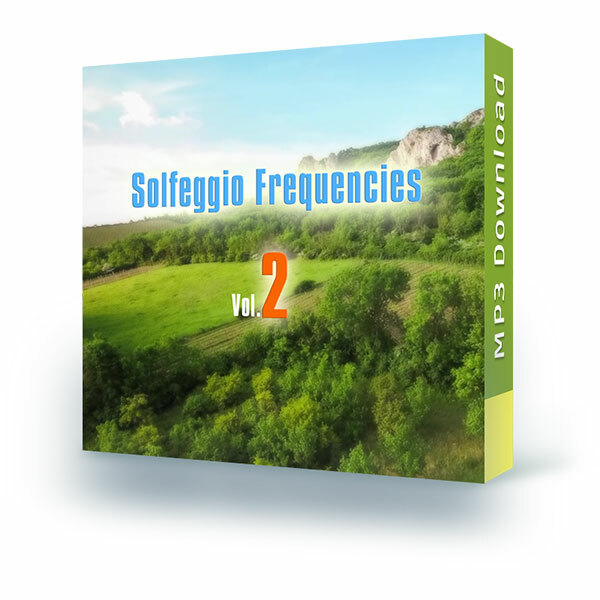 All 9 Solfeggio Frequencies, now featuring piano, flute and percussion. Use this music for your meditation or your yoga practice. If you work as a therapist, use it as a background music during your sessions. This music is perfectly suited for autogenous training or hypnotherapy. Also during a massage or wellness treatment Solfeggio Music can lead to an even deeper relaxation. This music enforces your therapy! Simply choose the frequency with the effect you need for your session. "9 frequencies for 9 moods - dreamy, exotic, powerful, ..."
My recommendation: listen to all the parts in a row. A slightly different feeling everytime and a great experience! As already Vol. 1, this album meets my expectations. Highly recommended for anyone looking for peace and relaxation! Like all the MP3s from this website these are really great and a must for any relaxation and hypnosis practitioner. Also highly recommended is the album "Journey To Subconscious"
I have already tested several frequencies, but this compilation is the best so far. A special treat with feel-good character. The frequencies are very calming, stimulating and balancing. I can also highly recommend the "Journey To Subconscious" in 432 Hz. Not better than Vol.1, but different. Also very good! Same as in Vol. 1, Alex has created a sophisticated range of meditative music. Vol. 2 deviates by a changed sonority of Vol. 1. The usage during therapeutic sessions is awesome. I have been searching long time for a music like this.